One of our all time favorite accessories is this awesome tool roll from Road Runner Bags. We call ourselves Road Bike Accessories for a reason, not just posting great photos from bike to work week, but also posting sweet things for your bike. This Photo is of a bike seat bag you can use to roll up all your necessary bike tools. You can find this bag at http://nymb.co. How do you typically carry all of your things on a ride or during a race? Do you use a seat bag, saddlebag or tool roll like this? You can lock this up under your sadle and it won’t swing or shake in the ride, and it hooks up securely. This can be used by cyclists of all types. Plus, it uses waterproof cordura fabric and nylon webbing to clip on strong. 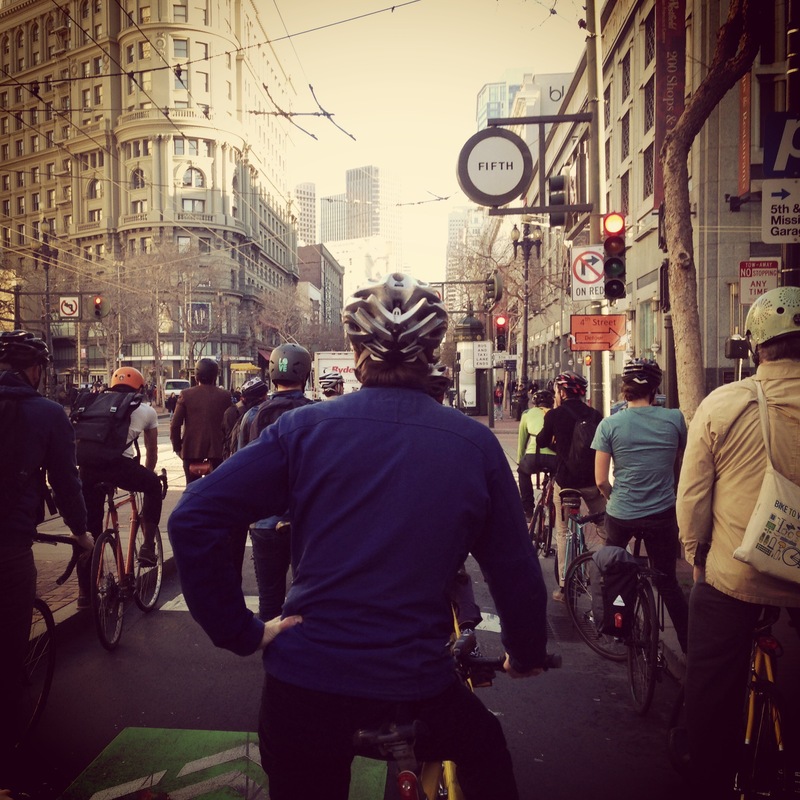 Here’s one of my favorite photos from cycling in San Francisco last year. 20 or more cyclists didn’t together in the morning. Off to the daily grind, getting to work is one of the best parts.